Palm Springs is one of our family’s favorite getaway destinations, and we’ve discovered many fun things to do there, shade or sun. Palm Springs in the shade can be the best! With sunny weather practically all year around, the area begs you to play outdoors. During the summer the weather can get a little warm for some people with temperatures regularly over 100 degrees. For those who prefer activities in the cool of the shade, there is still plenty of options for everyone. Who doesn’t love a water park? 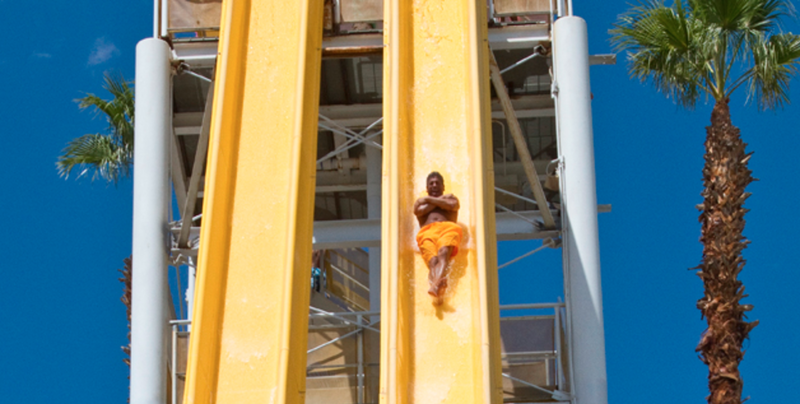 With so many options for slipping, sliding, floating and relaxing, Wet n’ Wild Water Park has a water-related activity to match your comfort zone. Want to float in the lazy river all day? How about zip down those high-flying water slides? Or simply splash in the shallow end of the wave pool? Personally, I like to sample all three. When the summer days turn hot around noon, we like to escape to a nearby restaurant for a delicious salad, and then scoot off to a matinee at one of the great local movie theaters. There’s always something great playing at Mary Pickford 14 in Cathedral City, where the surrounding parks are gorgeous, the movies are current, the popcorn is fresh, the seats are comfy and the sound system is state-of-the-art. 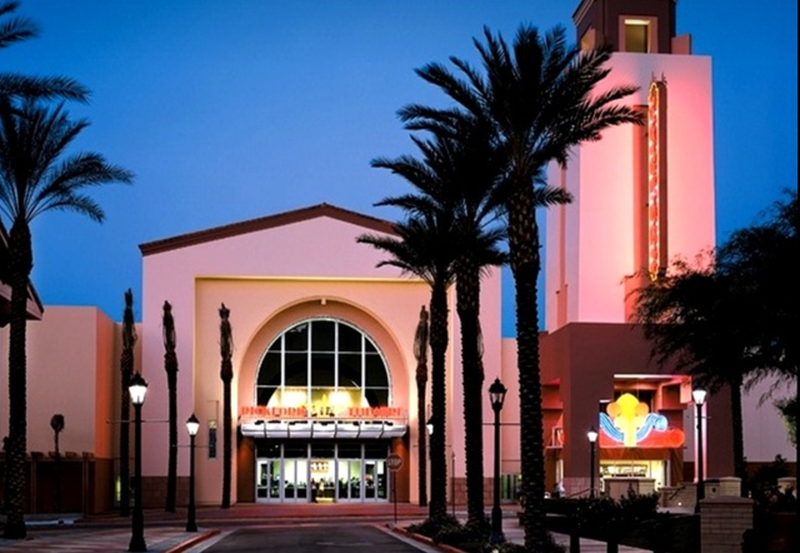 Now our kids are old enough that we can trust them to go into one theater for a PG-13 tearjerker, while we old farts catch an action flick in the next theater. 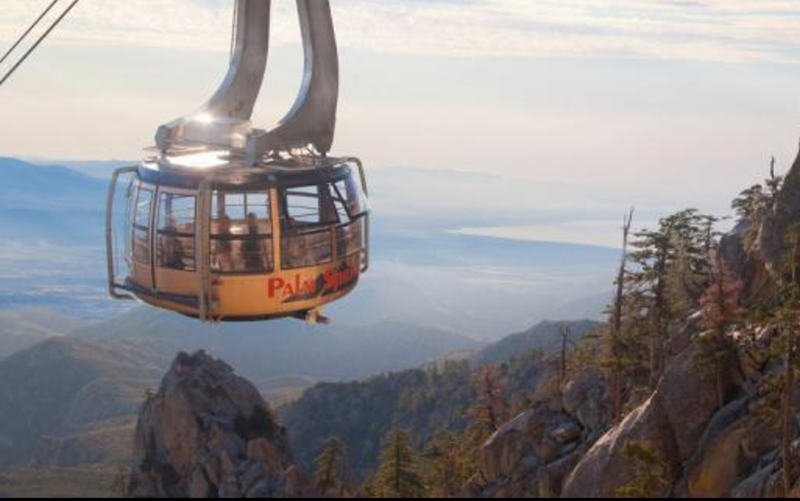 Any time of the year, the Palm Springs Aerial Tramway is a great diversion away from the flat desert floor. Rising quickly up the mountainside, the world’s largest rotating tram drops you atop the highest peaks overlooking the entire Coachella Valley. In the heat of summer, the temperatures provide a welcome respite at 30 degrees cooler – instant air conditioning! In the winter, you can enjoy the snowy drifts while looking down at sun-drenched cacti in the front yards far below. Great hiking up here too. Rain or shine, the outlet stores at Desert Hills Premium Outlets are epic, and that’s coming from a veteran shopper. I can work my way through an outlet store in nothing flat, and I could spend all day long at this gigantic center containing more than 125 outlets. We dare your family to leave without bags full of amazing deals. Go early when things are nicely organized by size, and don’t worry because there is plenty for everyone and all tastes. Last time we visited, we hit up Nike for running shoes, Saks Off Fifth for nice dress shirts, Gucci for fashion wear, and the girls loved Joe’s Jeans and Forever 21. Bring an extra suitcase for the deals you will be bringing home. With such hospitable weather, people love to be outside in the Palm springs area. 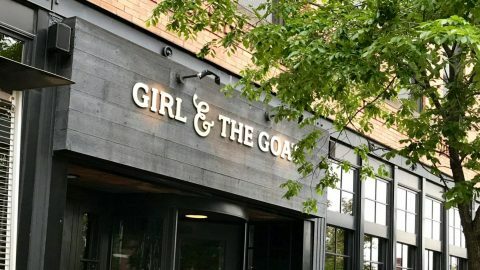 Most restaurants have extended this comfort even further by installing misters in their outdoor patios, so a cooling fog can settle down from above you and lower the temperature to a more comfortable level. 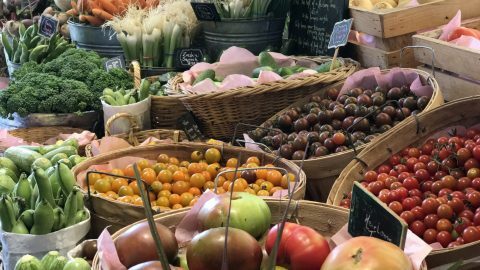 We’ve been known to join the Slow Food Movement at these places, pacing our meals to last a nice long time while we sit comfortably in the mist. Besides, the people watching on Palm Canyon Drive in downtown Palm Springs is really full of some characters. We let the kids go down the street for ice cream while we slowly finish our dessert and iced coffee.